Full Frame: Le Frégate pour l' Petit KRI Usman Harun Heading Home, Yet To Be Commissioned. Le Frégate pour l' Petit KRI Usman Harun Heading Home, Yet To Be Commissioned. The Bung Tomo Class frigates were originally known as the Nakhoda Ragam-class, built for the Royal Brunei Navy based on the Yarrow F2000 light frigate design in 1999. 3 ships were constructed, customized in part for the smaller stature of Asians in general. For reasons not made public, Brunei rejected the frigates upon completion of their sea trials claiming that they were not built to specifications. The ship builder BAE Systems sort arbitration through the International Court of Arbitration in 2004 and after closed door hearings in 2006, eventually won the case the following year. Brunei took ownership of the vessels but commissioned the German ship builder Lurssen Werft to sell them off. It wasn't till late 2012 that the frigates were finally sold to Indonesia at a great discount. They were to be renamed the KRI Bung Tomo, KRI John Lie and KRI Usman Harun, after Indonesia's national heroes. The first 2 may be Indonesian heroes but Usman and Harun were undisputedly terrorists who infiltrated Singapore and carried out sabotage and bombings on non-military targets that killed 3 innocent civilians and wounded 33 more in 1965. They were captured, tried and convicted of murder and eventually executed. 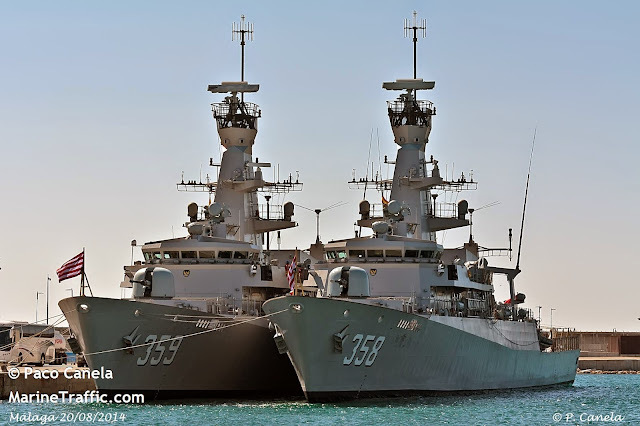 For a detail account of that terror attack on Singapore and the naming of the frigate after the 2 terrorist, read my earlier blog "Discount Frigates For Small People with Hare Brains : The KRI Usman-Harun Saga". After languishing at the piers at Barrow-in-Furness in England for 7 years, the first and second-in-class KRI Bung Tomo ( Pennant number 357 ) and KRI John Lie ( Pennant number 358 ) had been inducted into the Indonesian Navy on 18th July 2014 in a ceremony presided over by Indonesia's Defense Minister Purnomo Yusgiantoro. For reasons not openly revealed the third-in-class KRI Usman Harun ( Pennant number 359 ) was not commissioned together with her sister ships even though all three were physically at the same location. I was hoping perhaps it was the Indonesian President-elect Bung Dodo who postponed the commissioning because he understood the serious damage that was already done to bilateral relationship between Indonesia and Singapore from the naming saga. Might he be contemplating a name change for frigate number 3? Doubtful. The admirals will stage a mutiny before that can happen. More probably we are seeing the effects of Singapore's strong protest against naming the frigate after the two terrorists earlier in Feb 2014. TNI-AL may not want to admit it least it be perceived as weakness but the defense ministry could be trying to keep the entire event low profile to avoid further stoking of tensions between Singapore and Indonesia. Face saving is very important for people with huge egos. 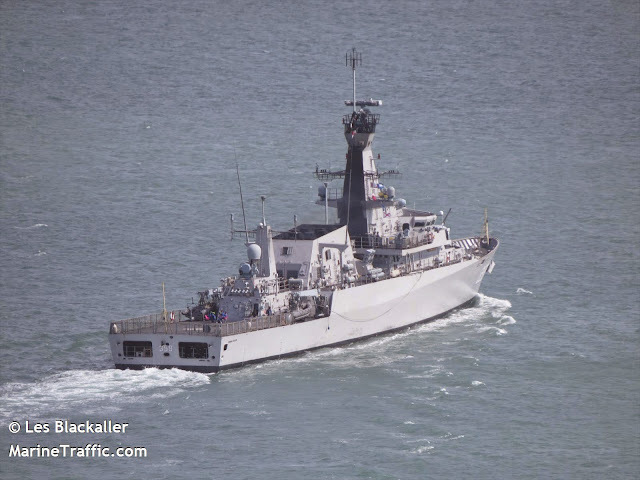 All three frigates have since left the United Kingdom for Indonesia. The lead ship KRI Bung Tomo was the first to leave Barrow-in-Furness at the end of July, shortly after her commissioning, with a crew of 87 Indonesian naval personnel and 5 ship's technicians from the UK. She made port calls at Portland ( UK ), Malaga ( Spain ), Civitavecchia ( Italy ), Port Said ( Egypt ), Jeddah ( Saudi Arabia ), Cochin ( India ) before eventually arriving at the Indonesian Port of Belawan in Northern Sumatra on 8th Sep 2014, a 9740 nautical mile journey ( about 18038km ) that took 42 days. After throwing a cocktail reception, she continued her journey the next day to the capital city of Jakarta and will travel onwards to Surabaya in East Java. It was revealed that all the Christian members of the crew performed a religious pilgrimage to the Vatican during the ship's stopover in Italy and then all the Muslim members perform the umrah ( minor pilgrimage ) when the ship docked at Jeddah. 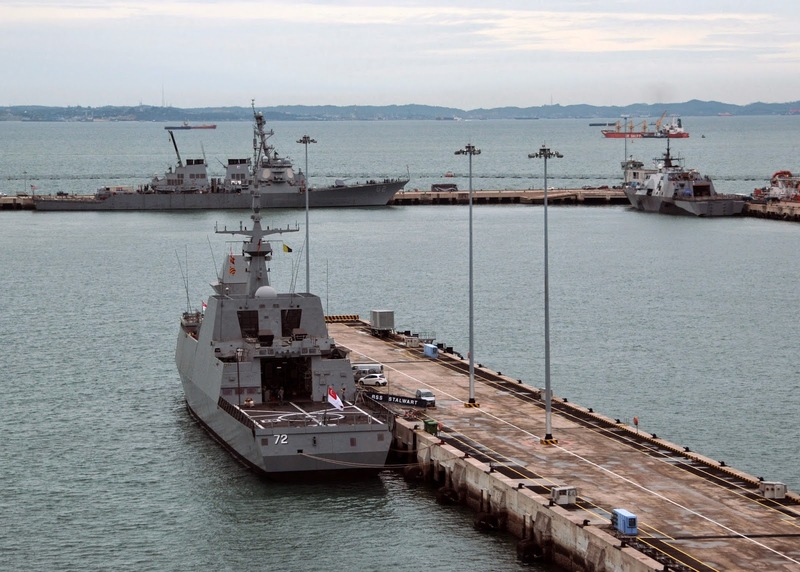 While in transit, KRI Bung Tomo also took part in war exercises off Lebanon, Oman and Jeddah together with warships from several countries, like the United States, Canada and Japan. This is common naval practice among friendly nations to conduct passing exercises (PASSEX) and other more sophisticated exercises when they meet. AIS tracking information seem to indicate that the other 2 frigates are basically tracing the journey of the KRI Bung Tomo with a delay of about 10 days, and they have so far been travelling together as a task group / mini convoy. They are expected to arrive in Belawan, Indonesia around 20th Sep 2014, barring unforeseen circumstances. They are scheduled to sail to Surabaya where they will be involved in a display to celebrate Indonesia's Armed Forces Day on 5th Oct. 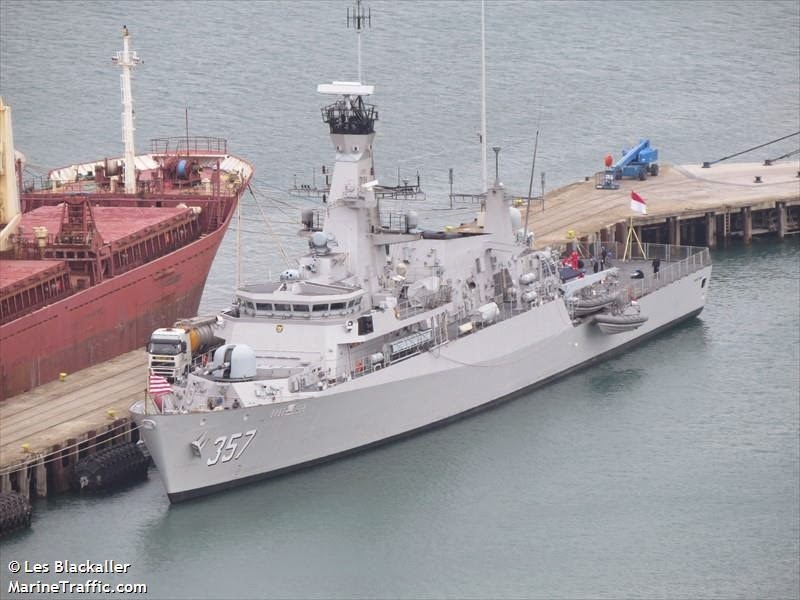 The frigates will eventually be inducted into the Indonesian Navy's Eastern Fleet where they will assume offshore patrol duties. Quote from the Jakarta Post " The Indonesian Navy’s Col. Yayan Sofiyan could not hide his sense of pride as he was entrusted by the government to bring home a newly built British-made light frigate, the KRI Bung Tomo." This was obviously an error as the journalist who wrote that article must have been absolutely ignorant of the frigate's tortuous and troubled past. If you can call a 14 year old warship Newly Built, then by the same account my nine year old car has to be better than Factory Mint! Wake up guys, in most other navies 14 years is about the time you start planning and conducting mid-life upgrades and service life-extension programmes ( SLEP ). After all, the useful lifespan of a hull is about 30 years, maybe 40 years, if you maintain it well. So Le Frégates pour l' Petit, the frigates for small people, are finally sailing home. Their journey through the Straits of Malacca will bring them to the close proximity of Singapore but there will be no PASSEX with the Republic of Singapore Navy. They ( specifically the KRI Usman Harun ) are not even welcome to stop at the city state, missing the chance to call at one of South East Asia's most advanced naval facilities at Changi Naval Base*. If the Indonesian admiralty had any brains they would probably want the frigates to slip past Singapore as quietly as possible. They can continue to languish at some non-descript Kalimantan base for the next 20 years for all I care. Makes a formidable admiral's fishing boat! * Singapore's Changi Naval Base regularly berths visiting ships of the USN, including the Nimitz Class nuclear powered aircraft carriers. It is also host to the Littoral Combat Ship USS Freedom (LCS 1) during her 8 month deployment to South East Asia recently. Great detail and analysis on the Bung Tomo class. 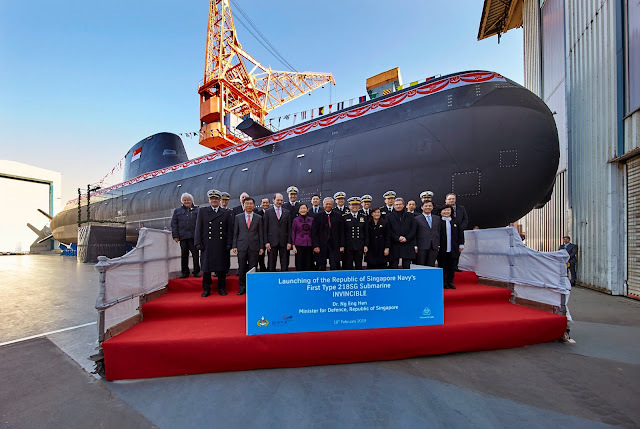 While my website specialises in attack submarines in the Asia-Pacific Region I also write more broadly on regional navies. See http://gentleseas.blogspot.com.au/2009/08/where-have-indonesian-kilo-submarines.html . I've placed your site on my blogroll. Thank you very much. I like your blog too!